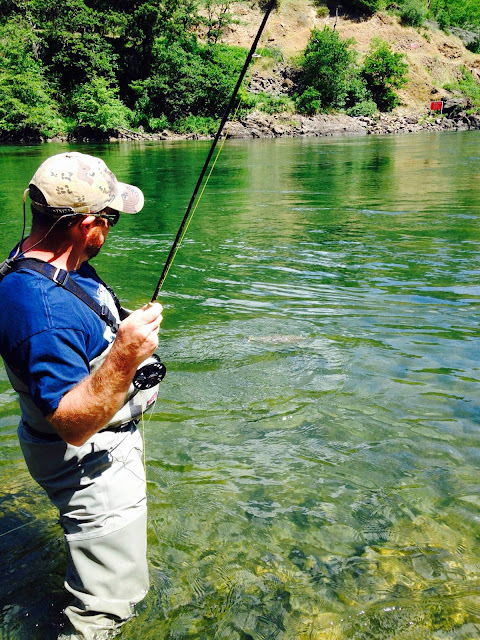 Southern Oregon Is on Fire-- Rogue River Holy Water, and Williamson River Report. 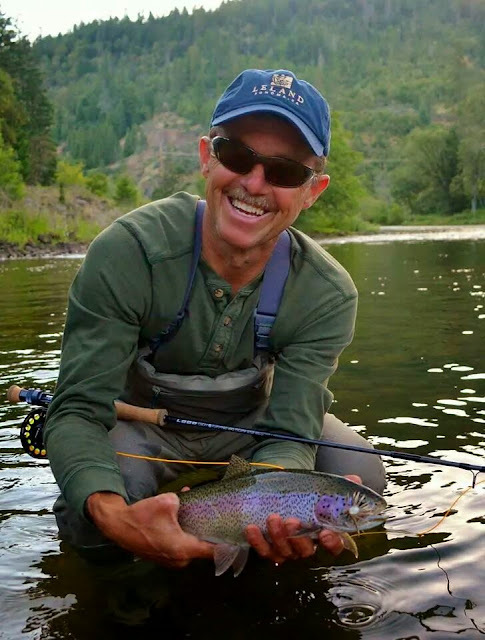 Bob hit the dry fly world with a storm. It took him a couple of fish before one came to the bank, but it didn't take him long before he was able to see a beautiful trout up close and personal. Good job Bob, your fishing like a pro. 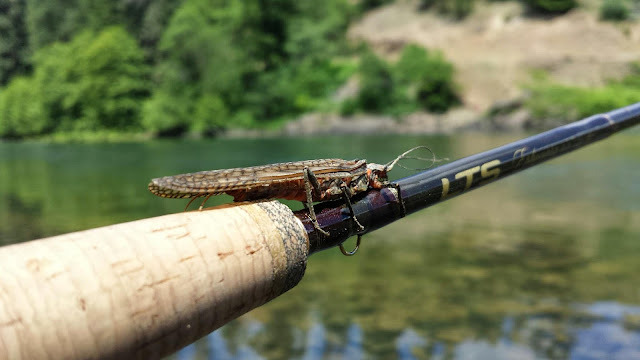 The Rogue River Salmon Fly Hatch continues to impress. "Wow! What an opening weekend on the Williamson. 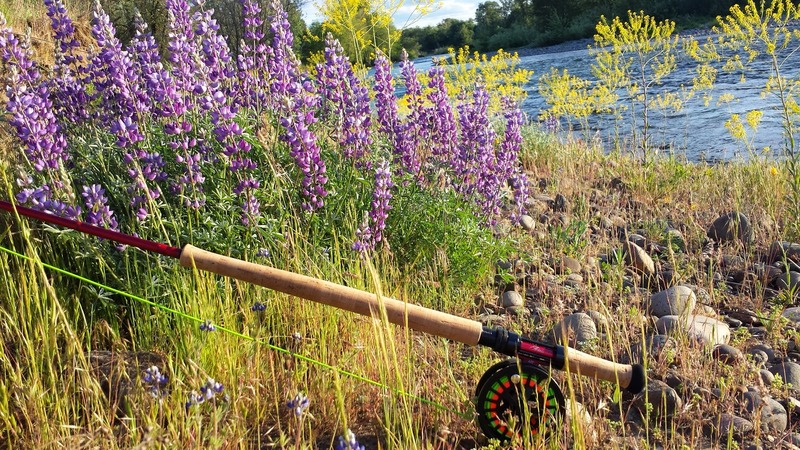 The water is low, clear, and the fishing is better than fantastic. I ran trips the last three days and there are more than enough fish to have some fun (large one’s too.) 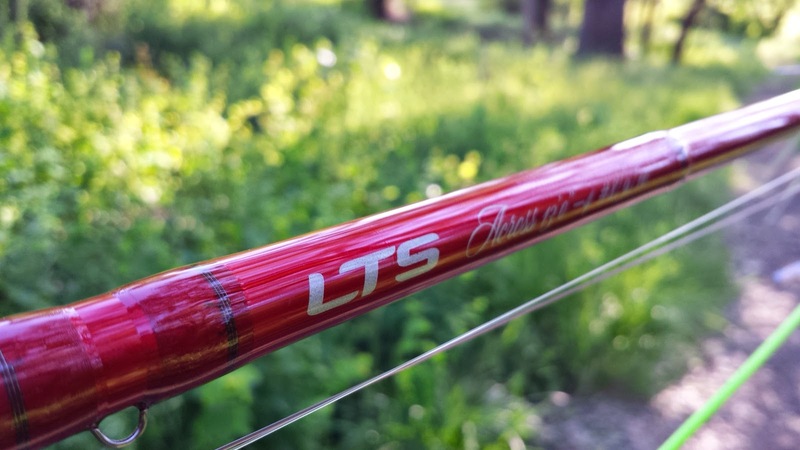 Swinging leech patterns on a slow sinking intermediate line has been the most productive technique. I will post some pictures of this weekend in the next day or two, but for now it’s time to go get some rest." 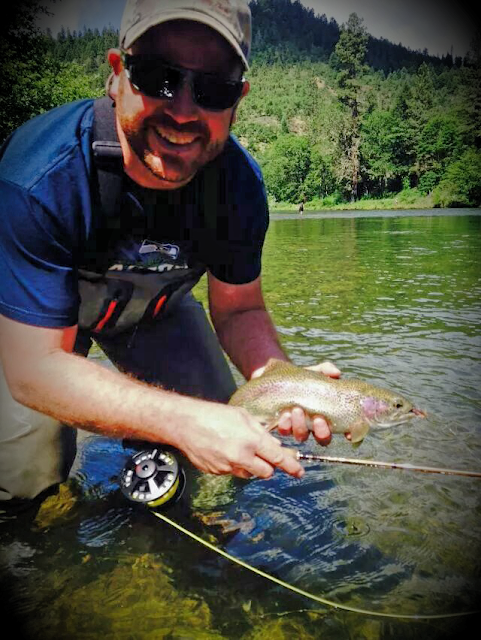 Salmon Fly Hatch and the Rogue River equal Fat Trout! Holy Waters for sure! I love watching huge trout go bonkers over dry flies. Predators of the first degree: just their ferocity gets my heart pumping, but watching a 20 inch monster of the deep flash your multiple times in a fifteen foot drift is an adrenaline overload! Now do this over and over and by the end of the day you’ll be an adrenaline soaked mess that is smiling ear to ear. Welcome to the Salmon Fly Hatch on the Rogue River my friends. This fish was burping from being such a salmon fly glutton! This Salmon Fly has good taste! Spey Fishing for Rogue River Kings! The Rogue Valley is looking at a record dry year, which has the Army Corps of Engineers lowering the River Flows in hope of stretching the water from Lost Creek Reservoir over the summer. As I write flows are at 2270, which is less than years past. The drought is something that none of us are looking for, but there is some silver lining in the impending cloud. With the suspected lower than normal flows we, as fly fishermen have one of the best years for catching a Rogue King on Spey/Fly gear on tap. I have only caught a few of these upriver brutes on fly gear, but The ones I have caught were well worth the time and work to get them. 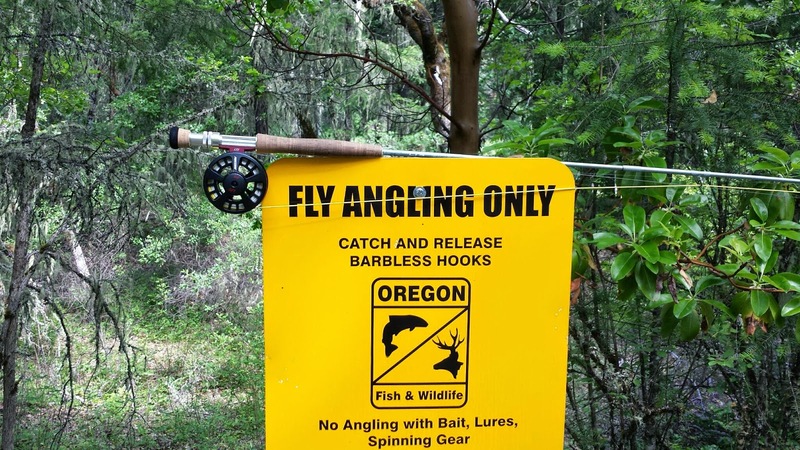 Here is one of the typical places and methods I have used to catch them. 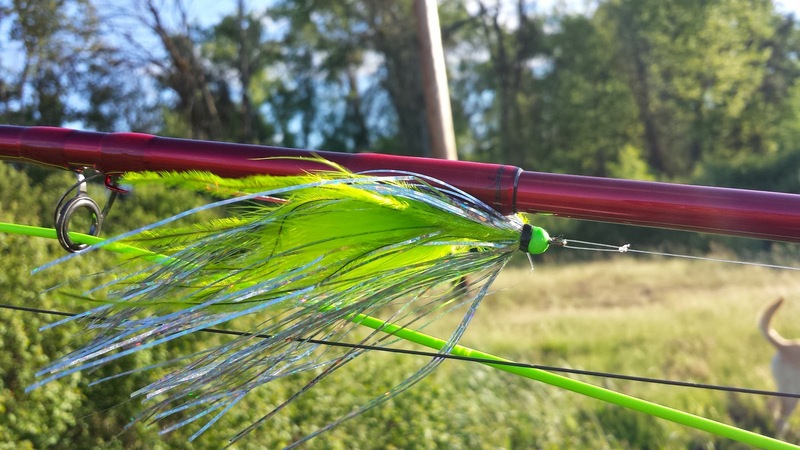 The Slow Fish, not to be confused with the lure Kwickfish!